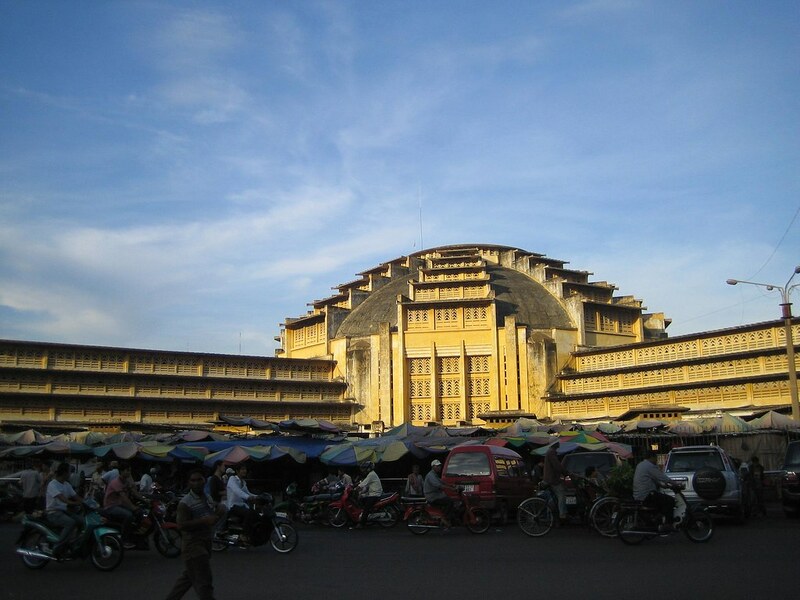 The central market in Phnom Penh is known as Phsar Thom Thmei means ‘Big New Market’ in Khmer. Its a big and a very impressive art-deco building, built in 1937, and at the time it was the largest market in Asia. The market was built by the french when Cambodia was under colonial rule, you’ll find a wide range of goods electrical, clothes, souvenirs and food. As with any market you’ll find a barrage of sights smells and sounds, but I’ve not been to a market in a finer building in Asia and with the market under a current $ 4.2 Million renovation project its bound to be even more impressive. The market is 7:00 AM to 5:00 PM, get down there and get haggling!